Mizuno is a sports equipment and sportswear company, which creates accessories and gear for a variety of sports, including golf, tennis, baseball, volleyball, football, and more. With Big Apple Buddy’s personal shopping service, you can now buy direct from the USA Mizuno online store anytime, anywhere. 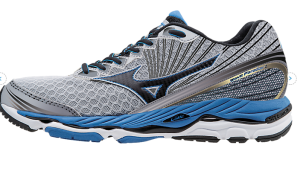 The Wave Paradox 2 is a men’s running sneaker that provides maximum support and cushioning for the foot. Despite the extra cushioning, this sneaker is lightweight and sleek, and will help you completely transform your running experience. Slip these on for your next run and your feet will instantly feel more comfortable and protected! 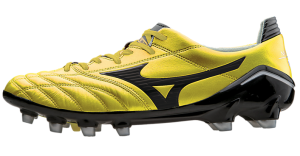 Mizuno USA also offers plenty of other styles of footwear and accessories for different sports and activities. The Morelia Neo MIJ MD FG is a soccer/football cleat, made of kangaroo leather and is both soft and lightweight. Made exclusively in Japan, this sleek cleat reflects a quality and craftsmanship like none other. Get ready to watch your soccer and footwork skills improve before your eyes with this one-of-a-kind cleat! 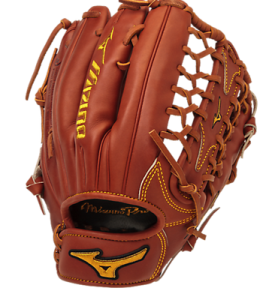 Mizuno is also well known for the variety of gear and accessories they create for baseball players. Here, you can shop for anything from cleats to batting gloves to baseball bats. The Mizuno Pro Limited Edition GMP700AX0 Outfield Glove is designed to help baseball players perform with the fastest reaction/best response possible. The glove’s elite deerskin palm lining provides the ultimate soft and comfortable feel every time you slip your hand into your glove. Unfortunately, the USA Mizuno online store does not currently offer international shipping. However, Big Apple Buddy, your personal shopper, can help you buy products direct from the official USA Mizuno online store and ship them to your doorstep, no matter where you are in the world. If you would like to buy from the USA Mizuno online store, simply let us know which items you would like to order (by filling out the form below) and we’ll get back to you with a free international shipping quote within 24 hours!